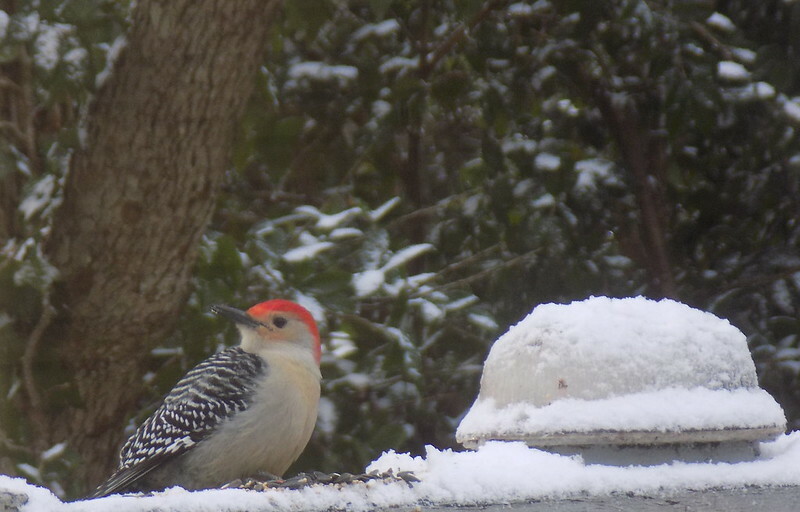 The photographs don't reflect the current conditions where I live in NC since the weather turned much warmer over the past week or so. I wish I had made it to one of the Women's Marches and had taken photographs of that. It's been great seeing the photographs from DC yesterday as well as sister marches all over the U.S. and the world for that matter. Some women from work took a bus leaving NC at 2:00 am Saturday morning going to DC for the march. I wish I had gotten it together to go. It is very encouraging to see so many people participating not just in the U.S. but in such a diverse group of places. 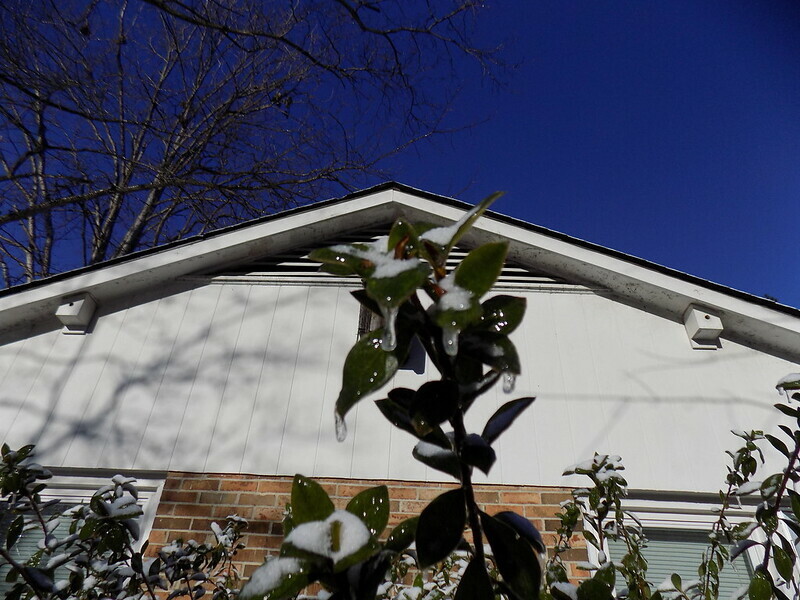 I love seeing blue sky and snow. 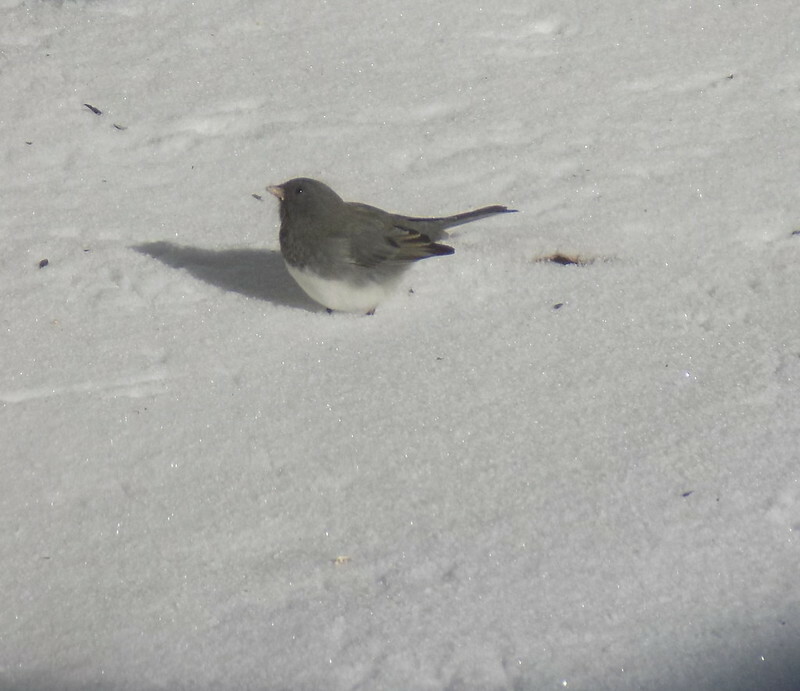 The bird below is a junco. 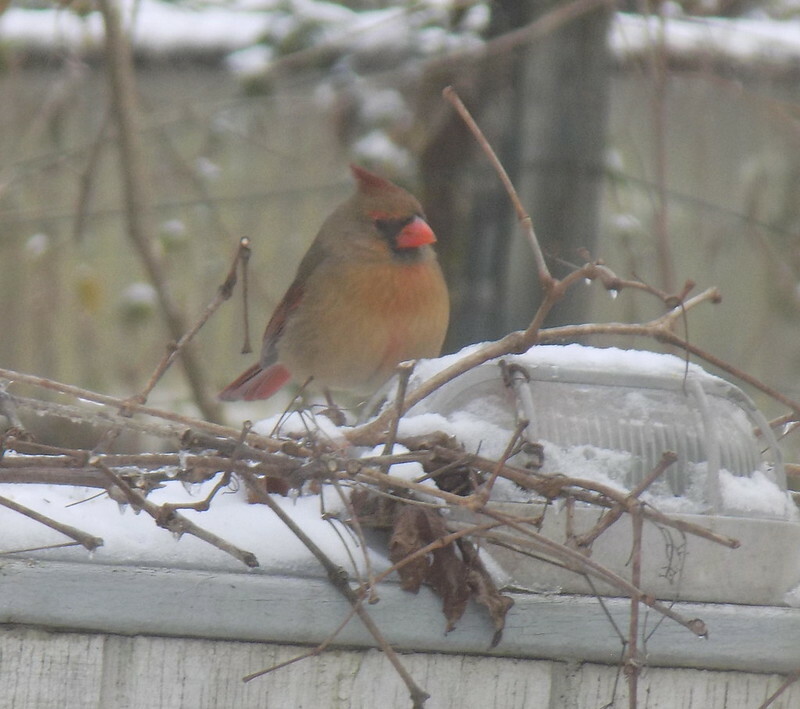 Next is a female cardinal. 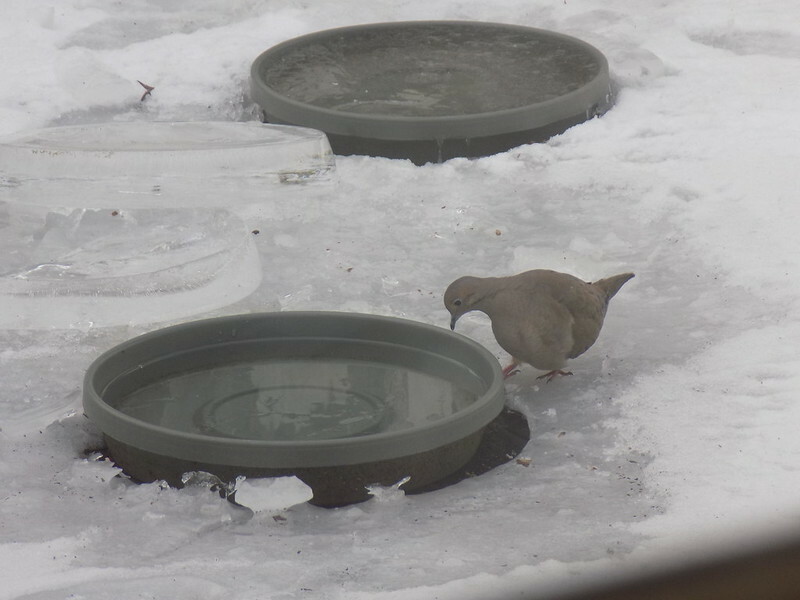 The mourning dove seemed glad of some fresh water. 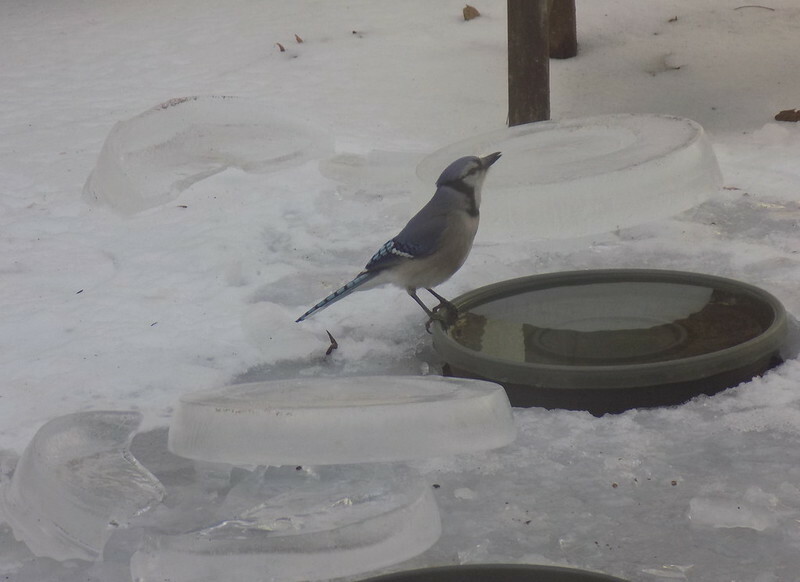 I guess I'll end with the blue jay. 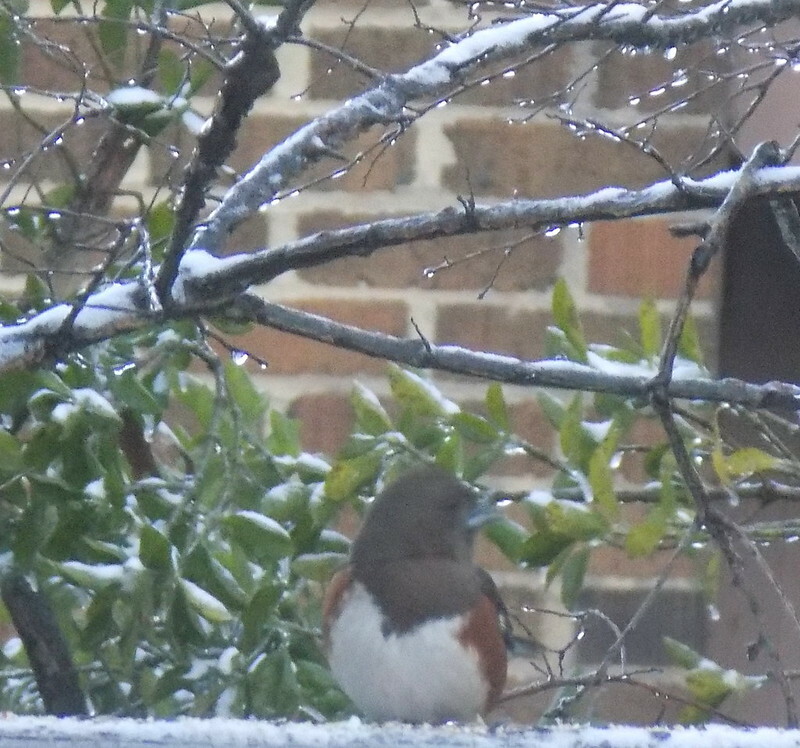 Since I didn't label them, the first shot is a sparrow; followed by a red-bellied woodpecker; the third shot is of a titmouse; 4th is a rufous-sided towhee; 5th is a male cardinal and 6th is a Carolina chickadee. 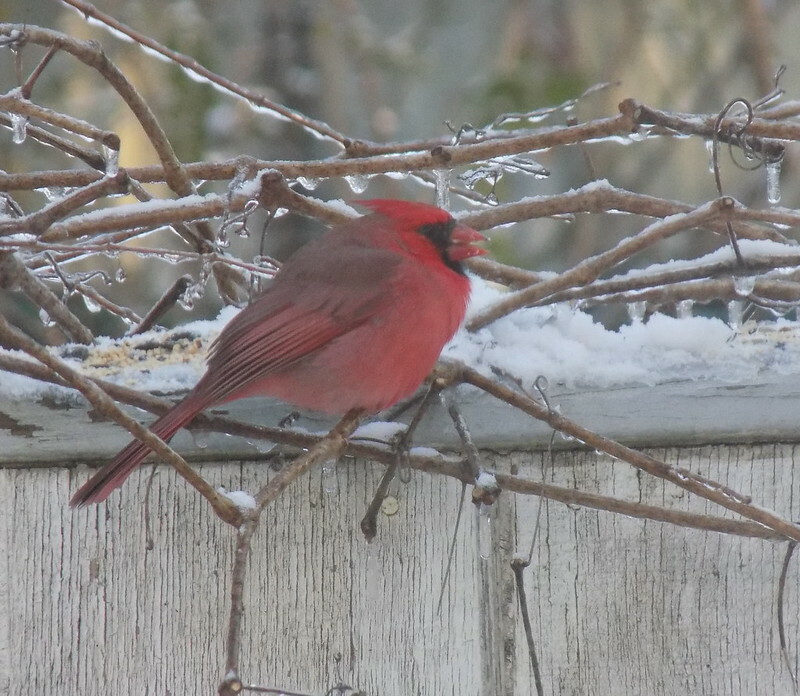 Loving all of your birds and I'm sure they made it through the icy weather with your help. Those marches all over the world gave me some hope. I wished I'd been in Eugene this week because I could have just stepped outside my door and joined -- about a block away was where the Women's March started. The closest one to us here was about a 50 mile trip one way and I couldn't quite deal with that. Like you, I supported them in spirit. I’m glad the weather warmed up in your neck of the woods. 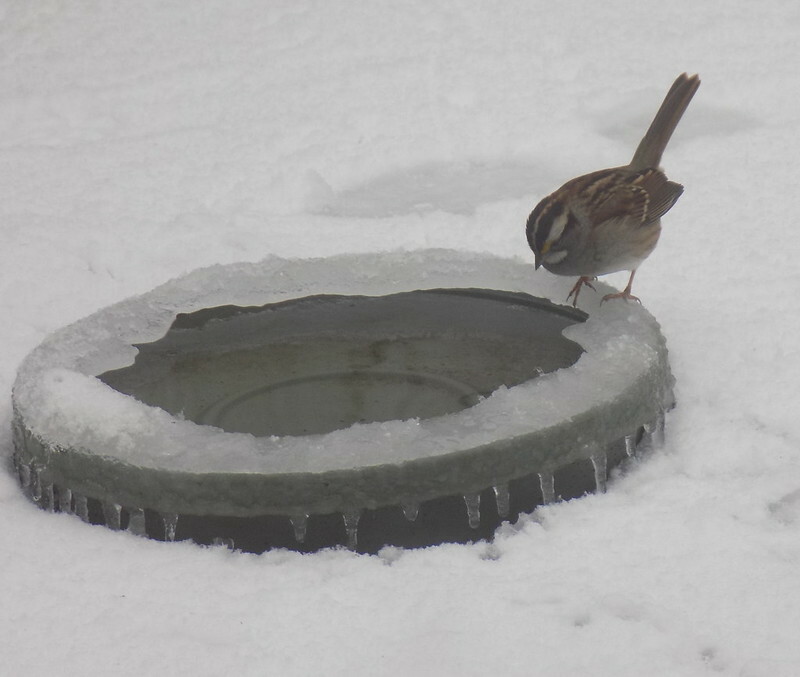 The backyard birds are much happier no doubt. 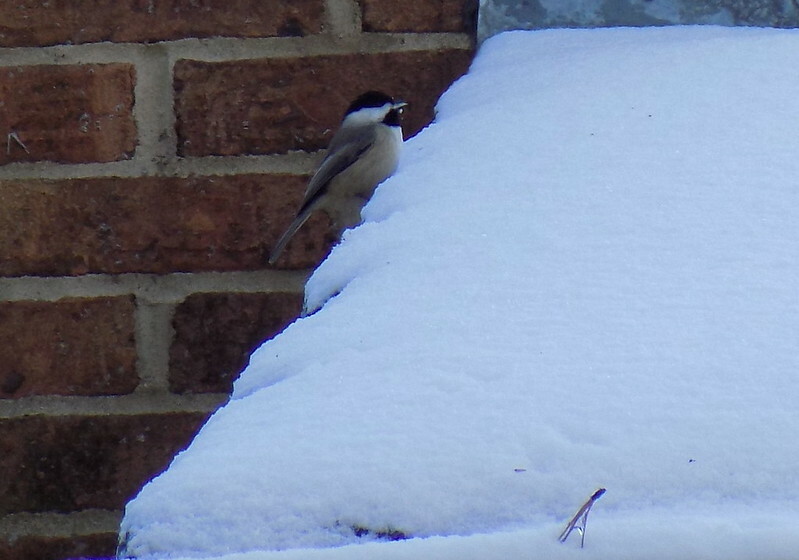 I wonder if their tiny feet feel the cold or sometimes stick to the ice. I was at the March in Vancouver, BC, by the way. 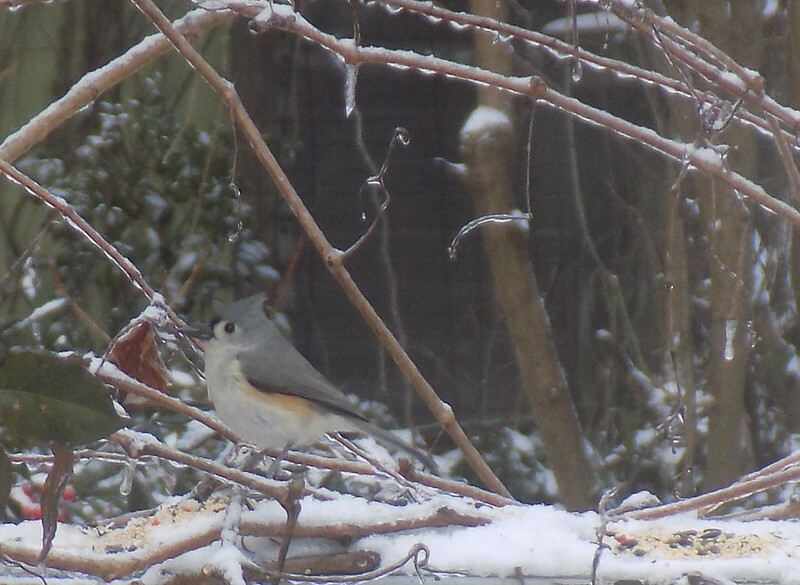 I posted some pictures. So many people showed up. It was wonderful. No worries that you didn’t go, however, because you as a woman were right there along with us in spirit and in our thoughts.